Vicky Bliss is a Doctor of Art History who happens to be statuesque and beautiful. But her job at the National Museum in Munich is not enough to keep this intrepid academician entertained. It takes the thrill of an ancient mystery or dangerous romantic adventure to keep Vicky on her toes. The Charlemagne talisman, with its gold filigree volutes and enormous azure-blue sapphire, has caught Vicky Bliss' attention. 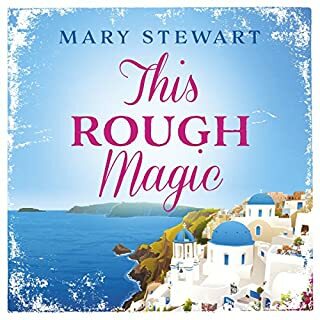 When a man is found murdered with an enchanting copy of the antiquity in his pocket, along with an odd set of hieroglyphs, Vicky follows the trail of the gifted genius who created the fake to the narrow streets of the anitquity markets in Rome. 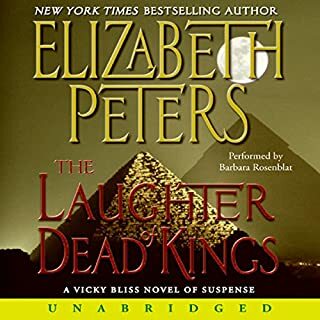 While on an all-expenses-paid cruise down the Nile, Vicky takes on a new case involving a plot to rob the Egyptian museum. With Sir John Smythe, reformed jewel thief and Vicky's lover, the prime suspect, she prepares for shipboard romance and a dash of intrigue. 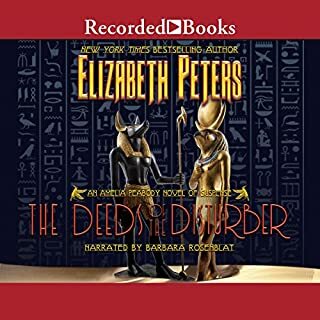 Fans of this author's Amelia Peabody turn-of-the-century Egyptologist series will enjoy this book in her modern-day Vicky Bliss series. 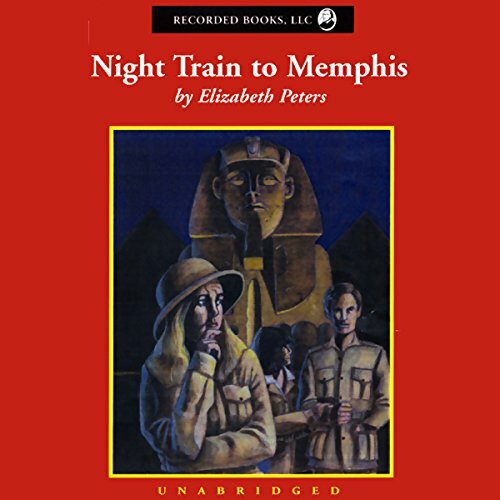 Vicky takes a trip to Egypt, finds mystery and conspiracy, gets bombed, tricked, kidnapped and held captive, and it's fun spotting the references to places and people in Amelia's world. 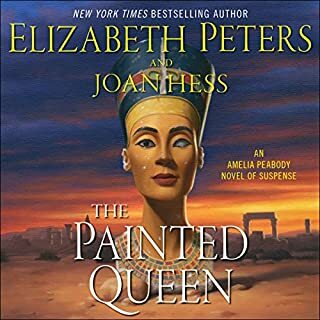 Most notably, a significant plot element involves the restoration of murals in a queen's tomb -- discovered by Amelia and Emerson in The Hippopotamus Pool. And Vicky's criminally-minded lover, John (a recurring character in the series), is more than reminiscent of Amelia's Master Criminal. It's enjoyable light reading. 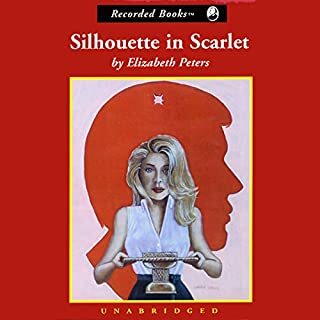 I have no doubt that if I had read Peters' Vicky Bliss series, rather than listened to it, I would not have enjoyed it half so much. But I was lucky to have listened to all of them, and by this last one, was totally in love with the series. Not so much with the main character, but who couldn't love Schmidt? And that's mostly due to Rosenblat's reading, I think. He came so amazingly and endearingly alive, and was such a perfect foil to Vicky and the Bad Guys. 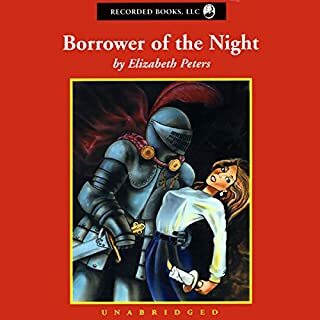 You could probably start with this last one and not miss much, but it really is fun to listen to the whole series, from the introduction (1st book? 2nd book?) of Schmidt to this very last book. This is one I'll keep and listen to again. This was the best of the Vicky Bliss series. I was very sad to discover it was also the last. I enjoyed Amelia Peabody very much, but I found myself more attached to Vicky. I wish there were more. If you haven't listened to the Barbara Rosenblat narrations, you are doing yourself a great injustice. 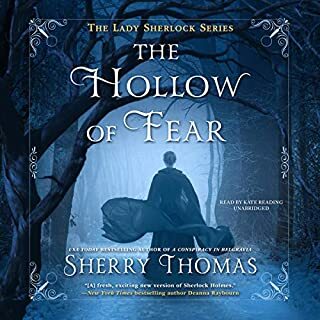 The first time you hear Vicky Bliss you won't believe it is the same person who narrates the Amelia Peabody series. 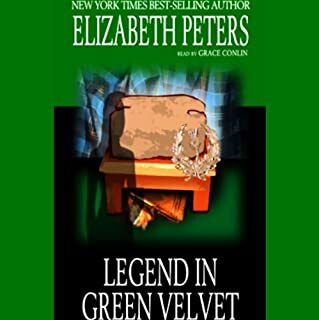 The woman deserves accolades and awards for both the Amelia Peabody and Vicky Bliss series. This is the first Vicky Bliss mystery I have read / listened to. The series title put me off for a long time, reminding me of Nancy Drew, whom I loathed. I was wrong - this is a superb listen. It is funny, action-packed and full of suspense. The narrator has an extraordinary ability to do accents and voices. 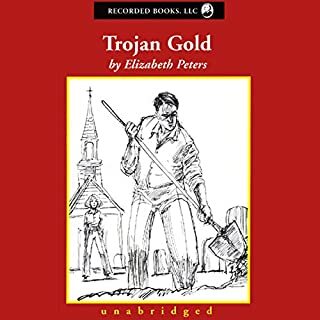 This audiobook is worth listening to just for that alone, but there is so much more to it. I highly recommend this for a diverting listen that will keep you riveted and entertained. I am looking forward to listening to the other Vicky Bliss novels and hope the author writes more! Anything Barbara Rosenblat reads is a WINNER! What did you love best about Night Train to Memphis? Elizabeth Peters has a shot-in the funny bone sense of humor--and her one-liners are unique. The relationships between the characters, the twists and turns of the plot, and the tiger-like attitude of Vicky Bliss. Everything! Barbara's ability to establish personalities and people using believable voices is amazing! Start with the 6th book in the series (The Laughter of Dead Kings)--then go to the 1st--through the 5th--ending with the 6th again. ENJOY! I thought this book was great! 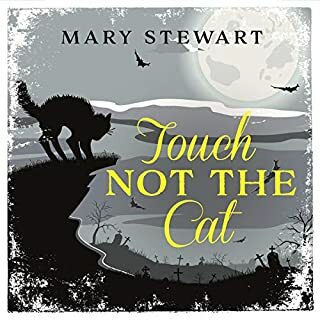 I'm new to Vicky Bliss mysteries and this is the first one I've listened to. Barbara Rosenblat's narrating was fabulous!! That would be worth it all on it's own, but the mystery was fun and quirky and I couldn't be happier with my purchase! This was an awesome book, like the others written by such a talented lady. The end of this book however, upset me. It leaves it open. It was only a somewhat happy ending. It needs another book. 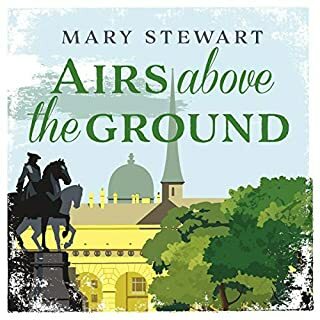 I have always been a died in the wool Amelia Peabody fan and I still am but listening to the Vicky Bliss series as Barbara Rosenblatt narrates it, is just wonderful fun. Rosenblatt is superb as always - don't miss this series - it's great. Poor Vicki! To find out that your lover has a cheatin' heart - and is now married?! To someone else? Sorry, can't help myself. Soooo many references to country music tunes, I almost wish there was a list to see if I found them all. Schmidt as a country music fan? Haaaahaaaaa...... Oh, sorry. Uh, yeah - I loved it, and you will too!